You can start your next adventure by simply getting to the event, that’s why we have chosen Craigdon. 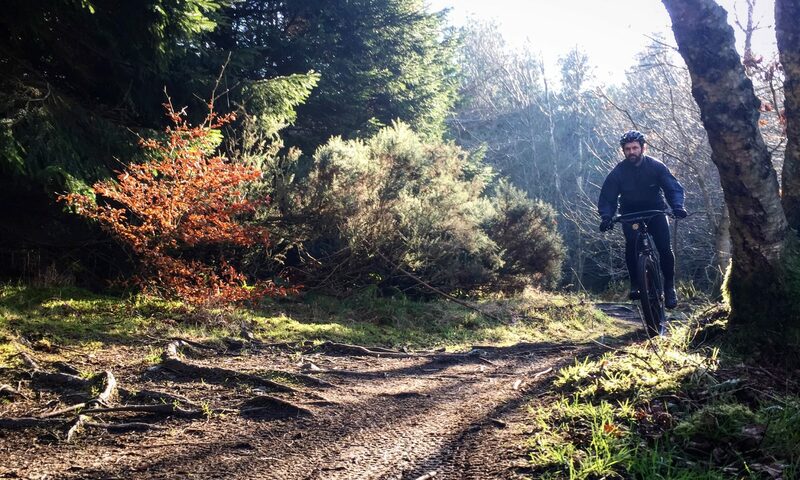 It’s not only an inspiring store on the edge of Edinburgh’s biggest playground, the Pentland Hills, it is also an adventure to get there. It’s not just a walk around the corner for most of us, and we know that. That’s why we created a suggested route to inspire you. Run it, walk it, cycle it. The only thing you can’t do is drive it. Follow in the footsteps of Robert Louis Stevenson on Cockmylane, the road to Swanston and the Pentlands. The GPX is below. But back to adventurers. 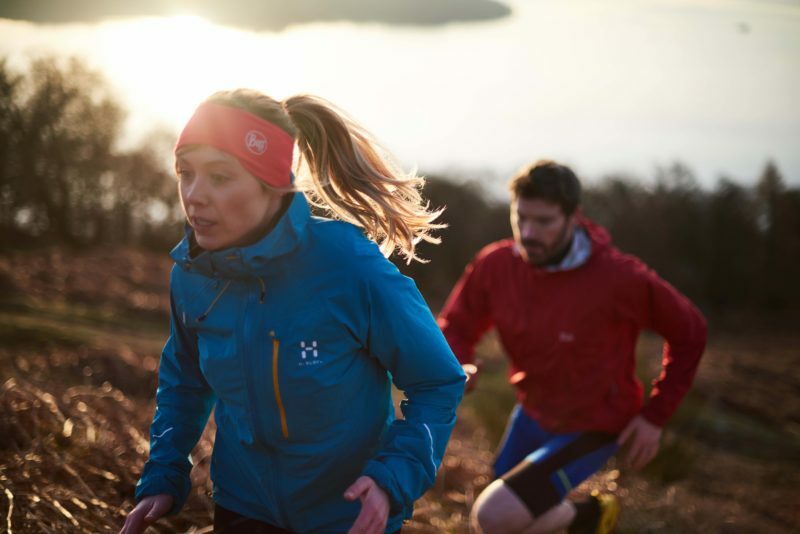 The inaugural event in the Adventurous Edinburgh series was a great success. Hosted by Dan Bailey we had Geoff Allan, Jenny Tough and Bikepacking Scotland’s Markus Stitz discussing bike and bothy adventures. And now we are delighted that we broaden our horizons even more, by having Hazel and Luke Robertson speaking to Dan Bailey tonight at 7pm (Thursday 27 April). 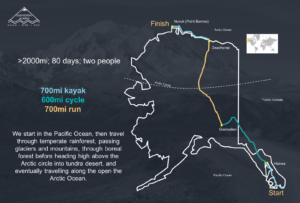 On the graphic above is the planned route of Hazel and Luke, who will cover the over 2000 miles across Alaska in 80 days by running, cycling and kayaking, starting in less than a week. Both Hazel and Luke are not first time adventurers. In 2016, with an artificial pacemaker and less than two years after undergoing brain surgery, Luke became the youngest Brit, the first Scot and one of less than 20 people in history to ski 730 miles solo and unsupported to the South pole. 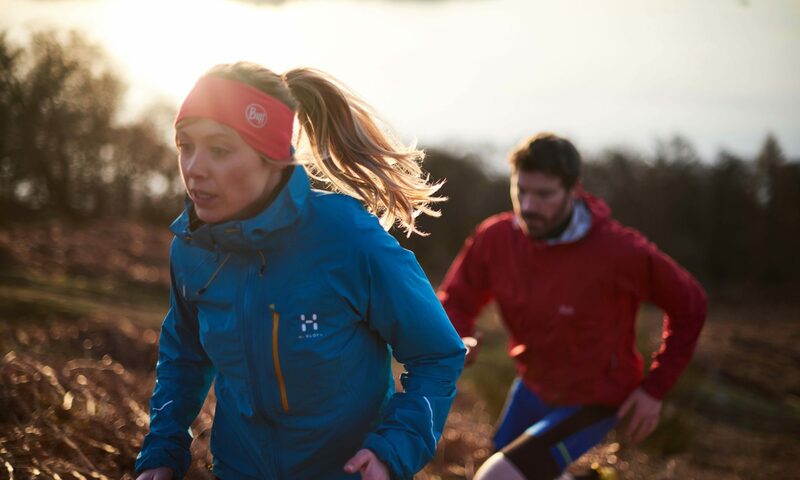 Hazel climbed Kilimanjaro unsupported via the treacherous Western Breach, and in 2016 she ran a 140 mile Ice Ultra on snowshoes in Arctic Sweden and the very first 250 mile Cape Wrath Ultra through the beautiful and remote west coast of Scotland. If you can’t come around tonight, you can still follow Hazel and Luke on their website at www.duenorthalaska.com. But we are 110% sure that seeing them speaking to Dan Bailey tonight is much, much better. That’s why you should come around, tickets are £8/10 on the door. Or even better, book online without any extra fees here. 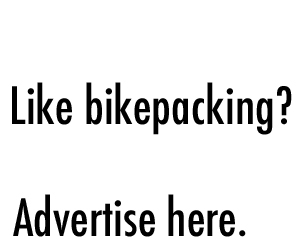 And to close the loop to bikepacking. There are many interesting things in the store to get you out on your bike. One of them is the Nordisk Lofoten, the lightest one man tent in the world. And on the 11 May, in our next event, we will have Markus hosting more inspiring Edinburgh adventurers. But more on that in a bit! Next PostNext The Reiver Raid – Our first short film is now online to watch!